Aerosol filter samples collected at a tropical coastal site Thumba over Indian region were analysed for water-soluble ions, total carbon and nitrogen, organic carbon (OC), elemental carbon (EC), and water-soluble organic carbon/nitrogen and their sources for different seasons of the year. For the entire study period, the order of abundance of ions showed the dominance of secondary ions, such as SO4 2−, NO3 −, and NH4 +. On average, Mg2+ (56%), K+ (11%), SO4 2− (8.8%), and Ca2+ (8.1%) contributions were from maritime influence. There was significant chloride depletion due to enhanced levels of inorganic acids, such as SO4 2− and NO3 −. Total carbon contributed 21% of the aerosol total suspended particulate matter in which 85% is organic carbon. Primary combustion-generated carbonaceous aerosols contributed 41% of aerosol mass for the entire study period. 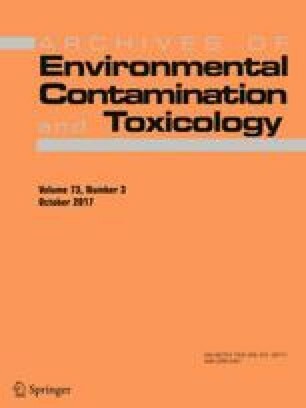 High average ratios of OC/EC (5.5 ± 1.8) and WSOC/OC (0.38 ± 0.11) suggest that organic aerosols are predominantly comprised of secondary species. In our samples, major fraction (89 ± 9%) was found to be inorganic nitrate in total nitrogen (TN). Good correlations (R 2 ≥ 0.82) were observed between TN with NO3 − plus NH4 +, indicating that nitrate and ammonium ions account for a significant portion of TN. The temporal variations in the specific carbonaceous aerosols and air mass trajectories demonstrated that several pollutants and/or their precursor compounds are likely transported from north western India and the oceanic regions. This study was partly supported by Japan Society for the Promotion of Science (JSPS) through grant-in-aid Nos. 19204055 and 24221001. We also appreciate the financial support of a JSPS fellowship to P. H., during which the author was on sabbatical from Indian Space Research Organisation (ISRO), Government of India.